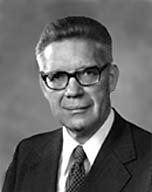 The following sermon was given by Elder McConkie on 27 February 1977 in Lima, Peru. President Spencer W. Kimball was desirous that it be printed for the membership of the Church. We are in the midst of a period of change and realignment where one of the basic doctrines of the Restoration is concerned. We were directed in the day of Joseph Smith to do one thing with reference to the gathering of Israel and the building up of Zion. Today we are counseled to turn away from the past and do something entirely different. It is somewhat with us as it was with the disciples in the meridian of time﻿—Jesus first commanded them to preach the gospel to the lost sheep of the house of Israel only; they were forbidden to take the message of salvation to the gentiles. Then he reversed his direction and commanded them to go into all the world and to preach the gospel to every creature, Jew and gentile alike. As the New Testament account shows, there was a period of a quarter of a century or so in which the early saints﻿—Peter, Paul, James, the Twelve, and all the leading Brethren included﻿—struggled to envision the new decree, the decree that revealed to them that others besides the chosen people of Israel were entitled to the blessings of the gospel and that the gentiles were equal candidates for salvation with them. Something akin to this is going on in the Church today. Since the coming of Moses to Joseph Smith and Oliver Cowdery, on the third day of April, 1836, in the Kirtland Temple, since the conferral upon mortal men, by that holy prophet, of the keys of the gathering of Israel and of the leading of the ten tribes from the land of the north, we have been using our talents and means and strength to recover the remnant of that once favored nation. Now, if those of us who have been gathered again into the sheepfold of Israel are to play the part assigned us in the Lord’s eternal drama concerning his people, we must know that some things relative to the gathering of Israel are past, some are present, and yet others are future. We ought not to struggle through a quarter of a century or so trying to determine, as did the New Testament saints in an analogous situation, what part we should play in the building up of Zion. The gathering of Israel and the establishment of Zion in the latter days is divided into three periods or phases. The first phase is past; we are now living in the second phase; and the third lies ahead. Prophecies speak of them all. If we do not rightly divide the word of God, as Paul’s expression is, we will face confusion and uncertainty. If on the other hand we correctly envision our proper role and know what should be done today, we shall then be able to use our time, talents, and means to the best advantage in building up the kingdom and preparing a people for the second coming of the Son of Man. Phase I﻿—From the First Vision, the setting up of the kingdom on April 6, 1830, and the coming of Moses on April 3, 1836, to the secure establishment of the Church in the United States and Canada, a period of about 125 years. Phase II﻿—From the creation of stakes of Zion in overseas areas, beginning in the 1950s, to the second coming of the Son of Man, a period of unknown duration. Phase III﻿—From our Lord’s second coming until the kingdom is perfected and the knowledge of God covers the earth as the waters cover the sea, and from then until the end of the Millennium, a period of 1,000 years. We live in the age of restoration. Peter calls it “the times of restitution,” meaning the period or time in the earth’s history when that which once was shall be restored in all its original glory and perfection. He says the things to be restored include “all things, which God hath spoken by the mouth of all his holy prophets since the world began.” (Acts 3:21.) And there are few things of which Israel’s prophets have spoken with more fervor and zeal than the latter-day gathering of the house of Jacob and the part that favored people will play in the building of Zion again on earth. Many things have already been restored, and many things are yet to be restored. Israel has been gathered in part, but in many respects the greatest part of the gathering of Israel is ahead. The foundations of Zion have been laid, but the promised City of Holiness has yet to be built. We have done some of the things destined to be accomplished in this dispensation; we are now engaged in doing the very things reserved for our time; and there are many things ahead to be done by our children and grandchildren and by all those who shall build on the foundation we are now laying. We are grateful beyond any measure of expression for the very excellent work being done in the Church here in South America. We extend our high commendation to the noble men who serve as Regional Representatives of the Twelve, as stake presidents, as bishops, and in other responsible positions in the stakes and wards. We feel that a foundation has been laid for great progress and development. We foresee a day when the Church will be a very substantial influence in all these great nations. It is a matter of great gratification that stakes of Zion have been organized here. We hope to see the stakes increase in number and in effectiveness. I shall speak of the gathering of Israel and of the building up of Zion in the last days. As we all know, the Lord scattered Israel among all the nations of the earth because they forsook him and broke his commandments. As we also know, he is now gathering in the lost sheep of Israel and laying upon them the obligation to build up his latter-day Zion. This gathering of Israel and this building of Zion in the last days occurs in stages. The early part of the work, which involved gathering to the United States and building stakes of Zion in North America, has already been accomplished. We are now engaged in gathering Israel within the various nations of the earth and in establishing stakes of Zion at the ends of the earth. This is the work that is now going forward in all of the nations of South America and of which I shall now speak. We are that people, a people who once again receive revelation, a people to whom God has given anew the fulness of his everlasting gospel, in consequence of which we praise his holy name forever. Now, if I may be properly guided by the power of the Spirit﻿—a thing which I devoutly desire﻿—I shall speak of the manner in which the Lord will build up Zion, the manner in which the Lord is having mercy upon Zion, and the part we are expected to play in the building of Zion. As is clear from the inspired account, Zion shall be built up﻿—she shall obtain that perfection and glory which is hers﻿—when the Lord appears in his glory. She shall then become as she once was. This will be during the Millennium when the restoration of all things is completed. Zion shall be perfected after the second coming of Christ. Now, what is Zion, and where shall she be established? On what ground shall we build her walls? Where shall we place her gates and strong towers? Who shall dwell within her portals? And what blessings shall rest upon her inhabitants? Zion has been established many times among men. From the day of Adam to the present moment﻿—whenever the Lord has had a people of his own; whenever there have been those who have hearkened to his voice and kept his commandments; whenever his saints have served him with full purpose of heart﻿—there has been Zion. Our first scriptural account relative to Zion concerns Enoch and his city. That prophet of transcendent faith and power lived while father Adam yet dwelt in mortality. It was a day of wickedness and evil, a day of darkness and rebellion, a day of war and desolation, a day leading up to the cleansing of the earth by water. That many of these truths about Zion were known and taught in ancient Israel is clear from the many references in Isaiah and the Psalms and elsewhere. Isaiah made particular mention of stakes of Zion which would be established in the day of restoration. Two things are accomplished by the gathering of Israel: First, those who have thus chosen Christ as their Shepherd; those who have taken upon themselves his name in the waters of baptism; those who are seeking to enjoy his Spirit here and now and to be inheritors of eternal life hereafter﻿—such people need to be gathered together to strengthen each other and to help one another perfect their lives. And second, those who are seeking the highest rewards in eternity need to be where they can receive the blessings of the house of the Lord, both for themselves and for their ancestors in Israel who died without a knowledge of the gospel, but who would have received it with all their heart had opportunity afforded. Manifestly in the early days of this dispensation, this meant gathering to the mountain of the Lord’s house in the tops of the mountains of North America. There alone were congregations strong enough for the Saints to strengthen each other. There alone were the temples of the Most High where the fulness of the ordinances of exaltation are performed. However, in the providences of Him who knoweth all things, in the providences of Him who scattered Israel and who is now gathering that favored people again, the day has now come when the fold of Christ is reaching out to the ends of the earth. We are not established in all nations, but we surely shall be before the second coming of the Son of Man. We are living in a new day. The Church of Jesus Christ of Latter-day Saints is fast becoming a worldwide church. Congregations of Saints are now, or soon will be, strong enough to support and sustain their members no matter where they reside. Temples are being built wherever the need justifies. We can foresee many temples in South America in process of time. Stakes of Zion are also being organized at the ends of the earth. In this connection, let us ponder these truths: A stake of Zion is a part of Zion. You cannot create a stake of Zion without creating a part of Zion. Zion is the pure in heart; we gain purity of heart by baptism and by obedience. A stake has geographical boundaries. To create a stake is like founding a City of Holiness. Every stake on earth is the gathering place for the lost sheep of Israel who live in its area. The gathering place for Peruvians is in the stakes of Zion in Peru, or in the places which soon will become stakes. The gathering place for Chileans is in Chile; for Bolivians it is in Bolivia; for Koreans it is in Korea; and so it goes through all the length and breadth of the earth. Scattered Israel in every nation is called to gather to the fold of Christ, to the stakes of Zion, as such are established in their nations. That is to say﻿—Israel shall be gathered one by one, family by family, unto the stakes of Zion established in all parts of the earth so that the whole earth shall be blessed with the fruits of the gospel. This then is the counsel of the Brethren: Build up Zion, but build it up in the area where God has given you birth and nationality. Build it up where he has given you citizenship, family, and friends. Zion is here in South America and the Saints who comprise this part of Zion are and should be a leavening influence for good in all these nations. And know this: God will bless that nation which so orders its affairs as to further his work. His work includes the building up of Zion in the last days. He has commissioned us to do that work for him. The foundations of Zion have already been laid in North America, in South America, in Europe, in Asia, in the South Pacific and in every place where there are stakes of Zion. But Zion is not yet perfected in any of these places. When she is perfected, it will be as it was with Zion of old﻿—the Lord will come and dwell with his people. Our tenth Article of Faith says, “We believe in the literal gathering of Israel.” This gathering occurs when the lost sheep of Israel come into the Church. It occurs when their sins are washed away in the waters of baptism, so that once again they have power to become pure in heart; and Zion is the pure in heart. Our Article of Faith says that “We believe … in the restoration of the Ten Tribes.” This is in the future. It will occur when the Lord brings again Zion, according to the promises. Our Article of Faith says “that Zion (the New Jerusalem) will be built upon this [the American] continent.” This also is future and will occur after the Lord’s people have gained strength and influence and power in all the nations whither he hath scattered them. Each one of us can build up Zion in our own lives by being pure in heart. And the promise is, “Blessed are the pure in heart: for they shall see God.” (Matt. 5:8.) Each one of us can extend the borders of Zion by gathering our friends and neighbors into the fold of Israel. These things of which we speak are part of a great plan and program of the Lord. He has known the end from the beginning. He has ordained and established the system which is now in operation. He has scattered his chosen people in all the nations of the earth. And now through his goodness and grace in this, our day, by the opening of the heavens, by the ministry of holy angels sent from his presence, by his own voice speaking from heaven, by the pouring out of the Holy Ghost﻿—by all these means﻿—he has once again restored the fulness of his everlasting gospel. He has called us out of darkness into the marvelous light of Christ. He has commanded us to build up Zion anew. He has commanded us to overcome the world. He has commanded us to forsake every evil thing. He has made us his agents and representatives. He has commissioned us to go out and find the lost sheep of Israel. He wants us to invite them to gather with the true Church and with the Saints of God. This is a work of great magnitude and importance. There is no work like it in all the world. The gospel of the Lord Jesus Christ is the greatest thing in heaven or on earth. We rejoice in the glorious truths of heaven we have received. We praise the Lord for his goodness and grace. And we know within ourselves of the truth and divinity of these things. By the revelations of the Holy Spirit to my soul, I know this work in which we are engaged is true. I know the Lord’s hand is in it. I know that success will attend our labors. The day will come when the knowledge of God covers the earth as the waters cover the sea. We are the most blessed and favored people on earth. God grant us the wisdom, God grant us the fervor and devotion, God grant us the zeal and good sense to go forth on his errand living the gospel ourselves and saving our own souls, and offering these glorious principles of salvation to his other children. This is the Lord’s work. It is true, and I so testify in the name of the Lord Jesus Christ. Amen.